The eagerly-awaited sequel to role-playing game Bravely Default (pictured) has apparently been announced for Japan. According to an unconfirmed leak, it's titled Bravely Second. And it's a brand new game. Note: the announcement came via a Japanese magazine leak. Kotaku has yet to confirm the leak first hand with the actual magazine. The magazine article says the game shares the same universe as Bravely Default, but takes place several years after the title. 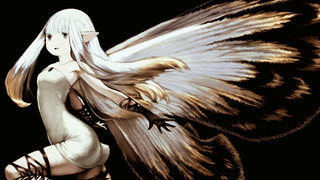 Bravely Second does not yet have a release date. No word yet on a Western release.